Wow. 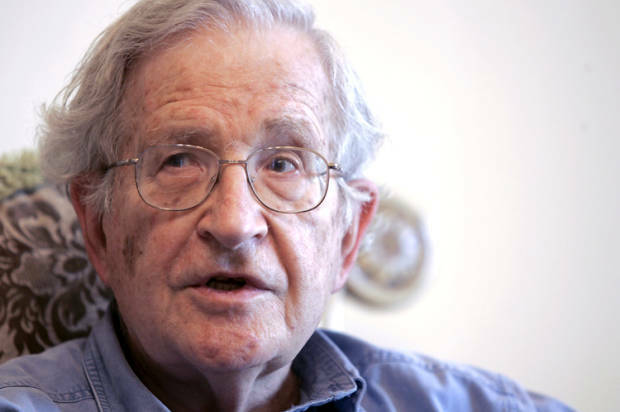 There is a lot to digest in this must-read transcript of a talk given by Chomsky in Europe. I like the idea of the “really existing” version of an abstract ideal to help us focus on what is actually happening in the world rather than being distracted by semantics and definitions. Iâ€™d like to discuss a different system â€“ what we could call the â€œreally existing capitalist democracyâ€, RECD for short, pronounced â€œwreckedâ€ by accident. To begin with, how does RECD compare with democracy? Most of us don’t have any influence on policy and governance. Influence is concentrating in a very small sector of society. In the work thatâ€™s essentially the gold standard in the field, itâ€™s concluded that for roughly 70% of the population â€“ the lower 70% on the wealth/income scale â€“ they have no influence on policy whatsoever. Theyâ€™re effectively disenfranchised. As you move up the wealth/income ladder, you get a little bit more influence on policy. When you get to the top, which is maybe a tenth of one percent, people essentially get what they want, i.e. they determine the policy. So the proper term for that is not democracy; itâ€™s plutocracy. It is worse in some European countries, where the populace has regularly attempted to vote out governments which were carrying out austerity policies. The policies remain. Europe, incidentally, is much worse â€“ so outlandish that even The Wall Street Journal has been appalled by the disappearance of democracy in Europe. â€¦[I]t had an article [this year] which concluded that â€œthe French, the Spanish, the Irish, the Dutch, Portuguese, Greeks, Slovenians, Slovakians and Cypriots have to varying degrees voted against the currency blocâ€™s economic model since the crisis began three years ago. Yet economic policies have changed little in response to one electoral defeat after another. Capitalism is not quite as effective as we might think. Thereâ€™s a recent issue of the main business weekly, Bloomberg Business Week, which reported a study of the IMF that found that the largest banks make no profit. What they earn, according to the IMF analysis, traces to the government insurance policy, the so-called too-big-to-fail policy. He then moves on to our culpability in failing to engage in any rational debate about the use of fossil fuels. So take Ecuador, which has a large indigenous population. Itâ€™s seeking aid from the rich countries to allow it to keep its substantial hydrocarbon reserves underground, which is where they ought to be. Now meanwhile, the U.S. and Canada are enthusiastically seeking to burn every drop of fossil fuel, including the most dangerous kind â€“ Canadian tar sands â€“ and to do so as quickly and fully as possible â€“ without a side glance on what the world might look like after this extravagant commitment to self-destruction. Actually, every issue of the daily papers suffices to illustrate this lunacy. He makes a strong case that there is woeful under-reporting of critical moments in history: is this careful media management or do we just not care? I had no idea that the Bin Laden execution was so close to triggering a US/Pakistani firefight. While the SEALs were still inside the Bin Laden compound, the Pakistani chief of staff, General Kayani, was informed of the invasion and he ordered his staff in his words to â€œconfront any unidentified aircraftâ€. He assumed it was probably coming from India. Meanwhile in Kabul, General David Petraeus, head of the Central Command, ordered â€œU.S. warplanes to respond if Pakistanis scrambled their fighter jetsâ€. It was that close. Going back to Obama, â€œby luckâ€ it didn’t happen. But the risk was faced without noticeable concern, without even reporting in fact. The anti-terror terrorism campaign is creating terrorists far more rapidly than it is eliminating them. I think a similar argument can be made on the war on drugs. As I mentioned, Obamaâ€™s now conducting the worldâ€™s greatest international terrorist campaign â€“ the drones and special forces campaign. Itâ€™s also a terror-generating campaign. In fact, it did. Terrorism increased by a factor of seven the first year after the Iraqi invasion, according to government statistics. Right now the government is defending the massive surveillance operation. Thatâ€™s on the front pages. The defense is on grounds that we have to do it to apprehend terrorists. If there were a free press â€“ an authentic free press â€“ the headlines would be ridiculing this claim on the grounds that policy is designed in such a way that it amplifies the terrorist risk. But you can’t find that, which is one of innumerable indications of how far we are from anything that might be called a free press. Lots more in there that I wasn’t aware of covering details of the cold war and Cuban missile crisis, war crimes against North Korea and the privatisation of the commons.